Oh no! Only a few hours in Geneva! However shall we appreciate it in such a small amount of time?! As it turns out, there isn’t a whole lot to do here… Recommendations seem to follow the “walk around” pattern, where you look at the old buildings (which, granted, were beautiful) and venues where historical discussions took place. It takes something really different/unusual to get me interested in a historical venue, but Geneva didn’t do it for me. Discussions about potential treaties are not worth noting, to me anyway. 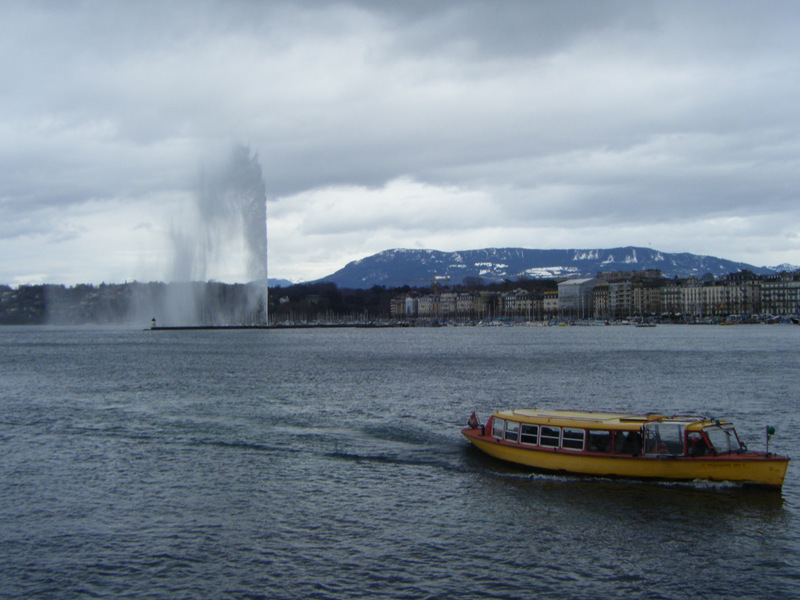 Jet d’eau – take a walk down the pier, and even at the closest we could get we still didn’t even get sprayed – that wind! I am disappointed, however, that we did not manage to visit CERN. That would have, undoubtedly, been fascinating. But CERN, like absolutely everywhere else in Geneva, was completely closed on a Sunday. Thank goodness the airport was somewhat interesting. 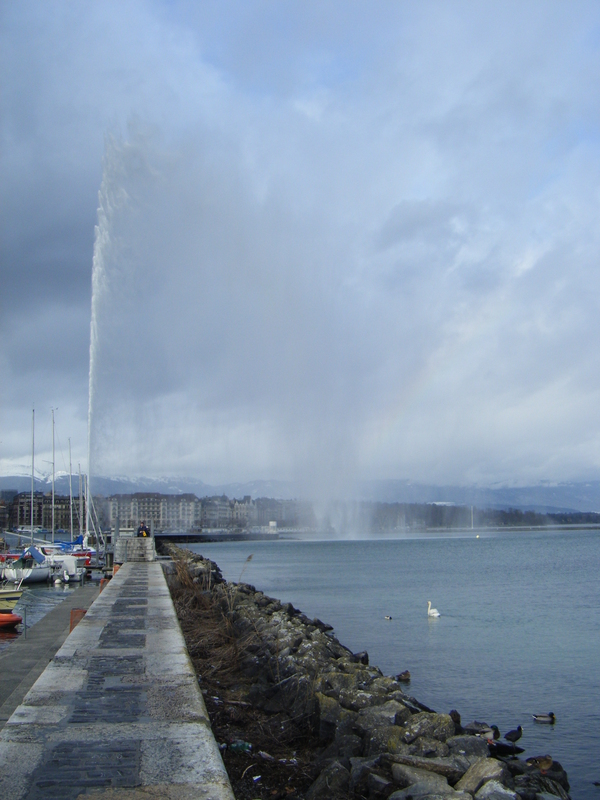 We visited the jet d’eau (jet fountain), and luckily for us, it wasn’t too cold or too windy, so the massive jet of water was rocketing endlessly into the sky. It made for a nice walk along the waterfront through the gardens and along the rocket pier right to the fountain. I thought I liked cheese. My first fondue experience taught me that I’m actually not really that big a fan… it was far too rich, and to eat so much bread as well! I don’t know how people cope! The weather was gloomy (just how I like it) and the food was overpriced and somewhat average. The buildings really were lovely, and Geneva had quite a nice airport, which is lucky for us considering we had to spend seven hours there waiting for our flight. I’d go back to check out CERN perhaps, maybe be treated to dinner by a wealthy man who can easily afford it, go for a romantic stroll with him through the park afterwards. It does have quite a romantic feel to it. It certainly isn’t much of a holiday destination, and not great for huge amounts of sight-seeing either. 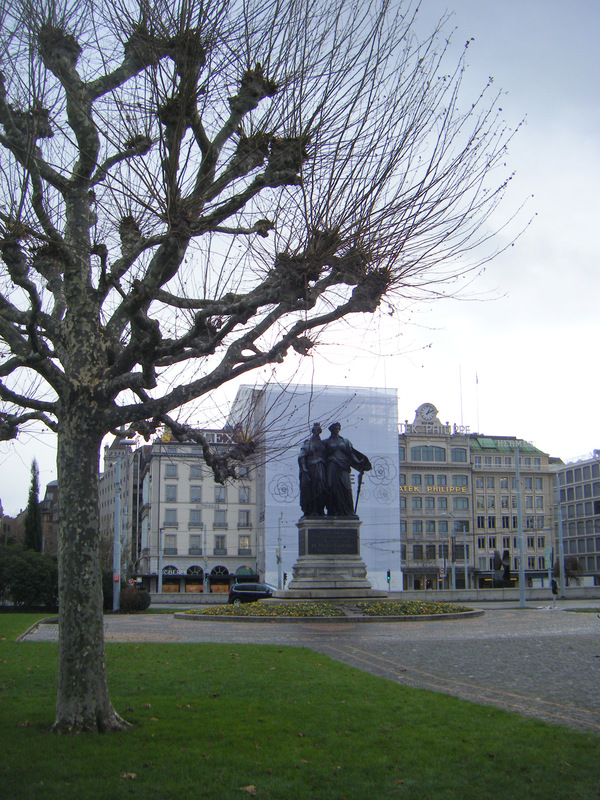 I would say we spent a suitable amount of time in Geneva, although some of that time was wasted at the airport, and I am definitely happy to say that I have been to Geneva.